Dr. Wilson is an Professor in the Acoustics and Dynamic Systems & Control programs of the Walker Department of Mechanical Engineering, holds a joint appointment as Associate Research Professor at Applied Research Laboratories, The University of Texas at Austin and is the Raymond F. Dawson Centennial Fellow in Engineering. Wilson obtained the PhD degree in Mechanical Engineering from Boston Univeristy in 2001, and the MS and BS degrees in Mechanical Engineering from the University of Texas at Austin, in 1994 and 1990, respectively. He joined the Cockrell School of Engineering faculty in 2003 after serving as a Post-Doctoral Research Fellow at Boston University, where he studied sound propagation and scattering in bubbly liquids, and the acoustics of water-saturated marine sediments. Previous experience also includes 3 years as a research engineer at Applied Research Laboratories, The University of Texas, 1994-1997, where he studied the acoustics of marine mammal sonar, developed a seismoacoustic mine detection sonar, seismoacoustic vehicle detection sensors and the Combustive Sound Source (a safe and inexpensive alternative to explosive sound sources for use in ocean surveys and seismic prospecting). In 2004, Dr. Wilson received the Office of Naval Research Entry-Level Faculty Award in Ocean Acoustics and in 2007 received the A.B. Wood Medal and Prize from the UK Institute of Acoustics. 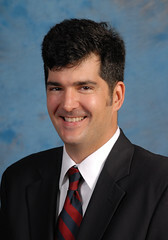 Since 2009, Wilson has been the Chair of the Education in Acoustics Committee within the Acoustical Society of America, currently serves as an associate editor for the Journal of the Acoustical Society of America, and is a past-President of the Austin Regional Chapter of the Acoustical Society of America. Dr. Wilson's current research interests are ocean acoustics, physical acoustics and engineering acoustics, with concentrations on sound propagation and scattering in the ocean and in multiphase media, animal bioacoustics, novel acoustic materials and transduction. Wilson also works in the area of underwater anthropogenic noise abatement using large encapsulated bubbles, and is studying the use of acoustics and sonar technology in the fire fighting environment. Another area of interest is vibration control, focusing on the use of nonlinear systems such as buckled beams and other negative-stiffness-bearing structures. Specific details are provided on Wilson's personal webpage (follow link at right). Work conducted in the Wilson group has been reported in Scientific American, National Geographic, The Alcalde, The Austin Business Journal, and via radio reports on KUT and NPR. Wilson co-founded AdBm Technologies, LLC, to commercialize underwater noise abatement technology and currently serves as a science advisor to the company, which provides underwater noise abatement solutions for the domestic oil and gas market and the international marine wind and offshore construction markets. Wilson currently holds one US patent, with three additional patent applications filed.